Parts Town is the market-leading distributor of genuine OEM (Original Equipment Manufacturer) foodservice equipment parts. When there’s a hiccup in any commercial kitchen, Parts Town is ready to jump in and help with the most in-stock parts on the planet, innovative technology, and an unmatched customer experience. Customized solutions benefit food equipment service companies, chain restaurants, institutions and independent restaurants. Our 360-degree imaging technology called PartSPIN®, valuable interactive diagrams, convenient Smart Manuals and the industry’s first mobile app allow customers to easily and conveniently find and view equipment manuals and parts in the field, where that valuable info is needed most. These innovations, paired with same-day shipping and extended hours of operation, ensure the correct part is ordered and delivered every time. Partnering with the top manufacturers of commercial cooking, refrigeration, ice and beverage equipment and more, Parts Town improves the supply chain, increases sales of genuine OEM parts and keeps every customer’s business running like clockwork. 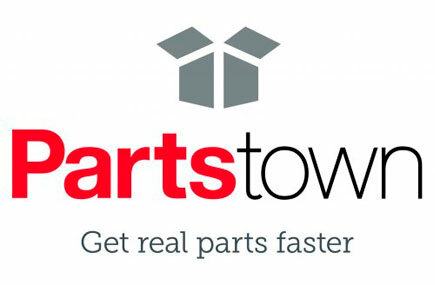 Parts Town makes finding and buying foodservice equipment parts easy, fast and even kinda fun.